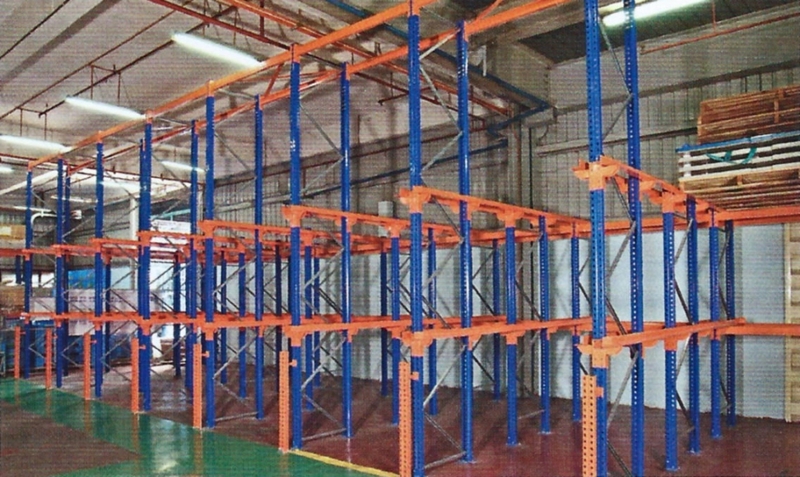 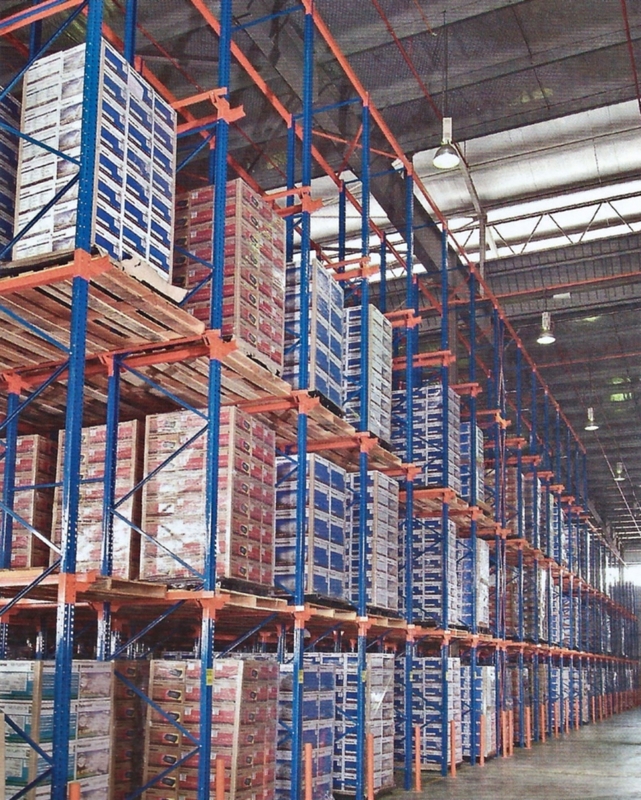 Drive-in or Drive-through Racks are designed for storing large quantities of homogenous products. 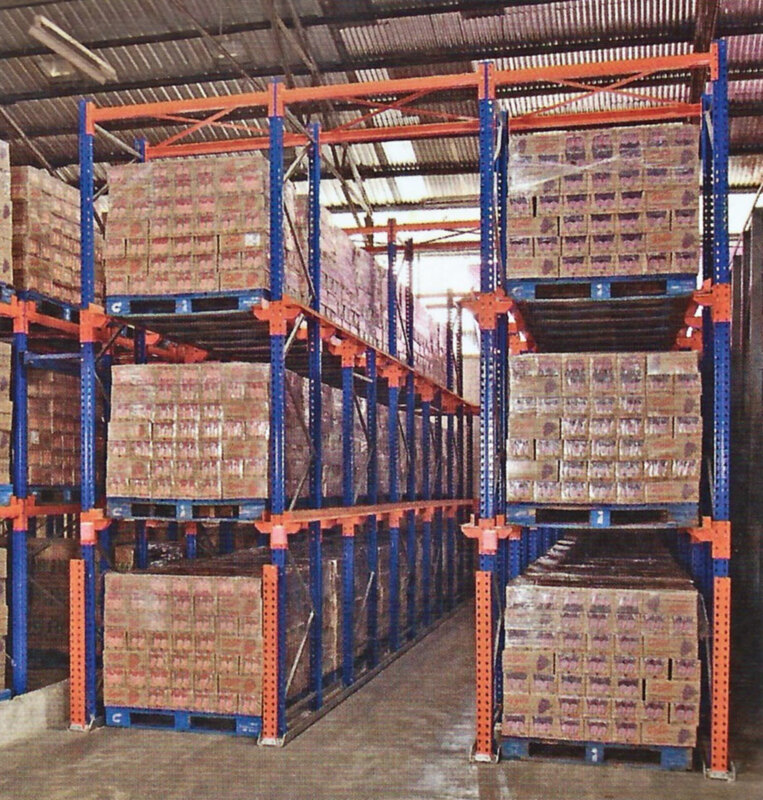 The goods are stacked on the same size of pallets. 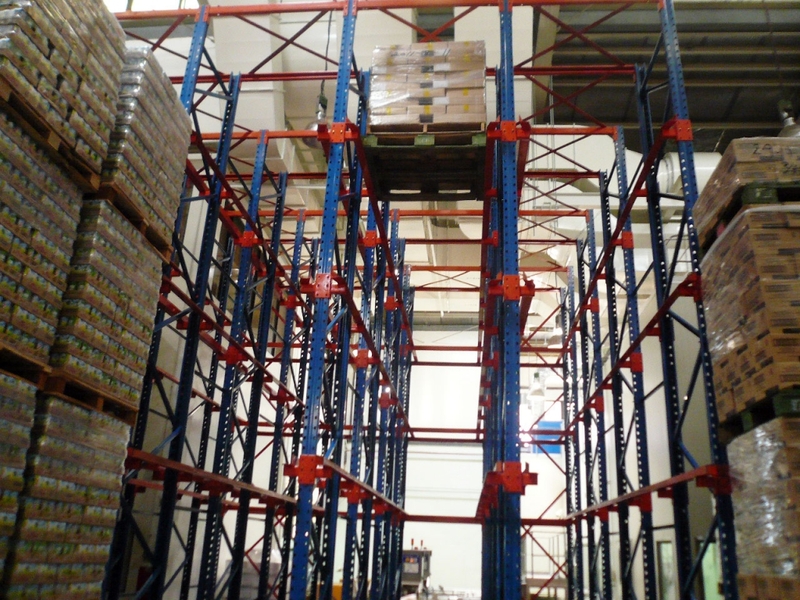 The pallets are stored depth-wise behind each other on pallet carrying rails that have been designed for maximum safety and easy handling. 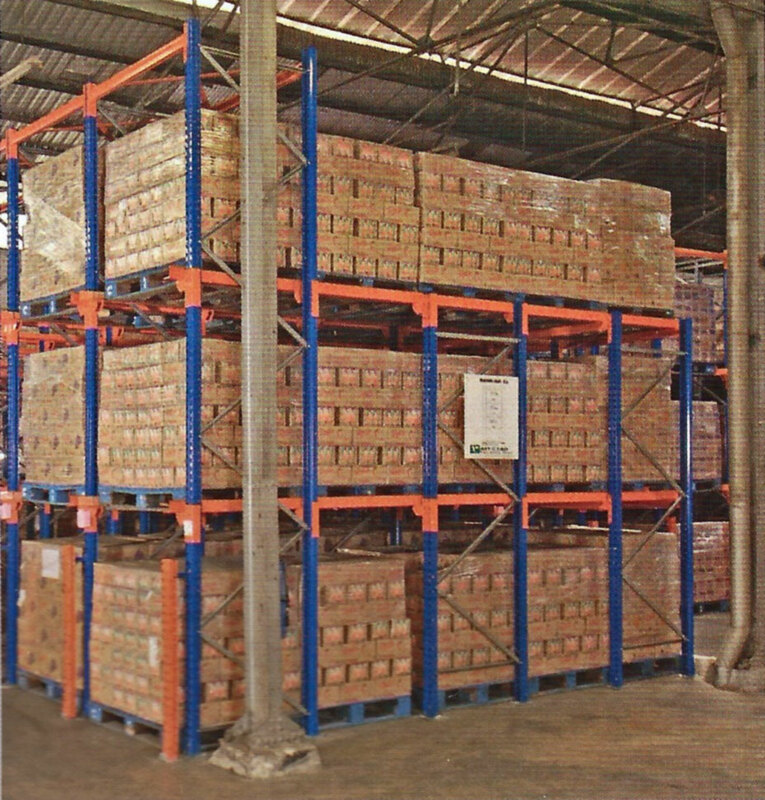 This connected blocks of racking with one or two aisles for the Drive-Through system. 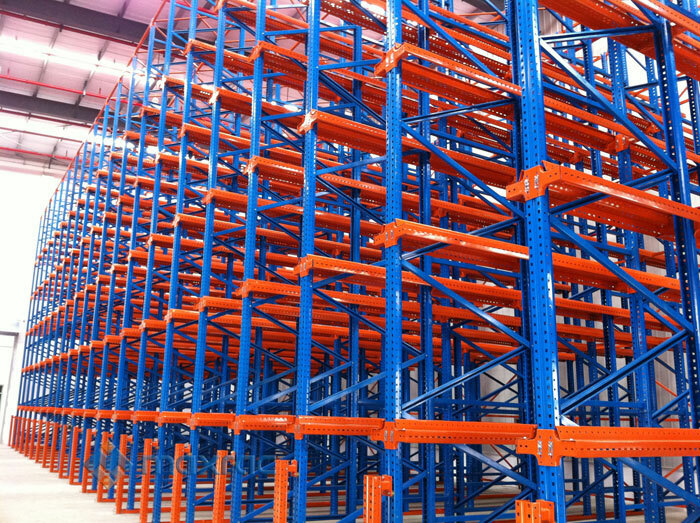 Storage is in a Last-In-First-Out (LIFO) arrangement.